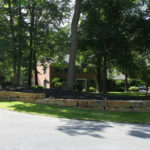 Indian Run Landscaping » Next year is here! Here we are the winter of 2018, and so far, we’ve already had snow along with very cold temperatures! Cabin fever has set in. I don’t know about you, but I’m already ready for Spring! 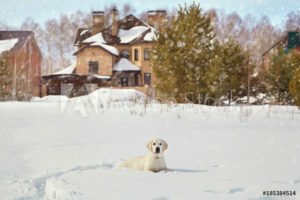 I believe most people would agree that when it snows, they do enjoy the beauty of it. That is until the clean-up begins! It sure is beautiful, but as the sun starts to peak through the clouds and starts melting the snow, we are given the shocking visions of what lies beneath, (and I don’t just mean where you let the dog out)! 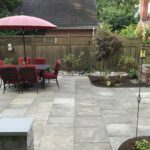 Remember last year when your brain was waking up from the winter slumber and you started thinking about warmer days and spending time outside on your new patio? At least you thought about how nice it would be. Spring came and went and by the time Summer came around, there were way too many ‘projects’ for you to tackle! Your brain then shifted to ‘maybe next year’! Well, next year is here! Maybe you’re thinking, winter isn’t the right time of year to think about a patio? Actually, this is the perfect time of year to set your goals on getting that patio or outdoor living space you’ve always wanted! Once your design is finished you can get your project scheduled. 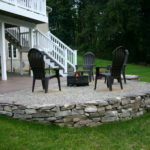 Before you know it, warmer weather is here, and you’ll be getting ready to enjoy your patio, this year! Don’t have a repeat of last year’s procrastination! Visit our website to see more of our completed projects and schedule your appointment today! We use Angie's List to assess whether we're doing a good job keeping valued customers like you happy. 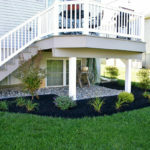 Please visit AngiesList.com/Review/2868723 in order to grade our quality of work and customer service. 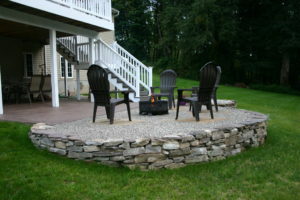 Indian Run Landscaping is the professional landscaping team that can design and install your landscaping needs and dreams. 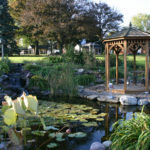 We have experienced landscapers for design, lawn care, patio and walkways, stone walls, water gardens, and landscape lighting. Explore our site and our many photo galleries. Please contact us with any questions, or to schedule an appointment so we can create a free estimate for you.